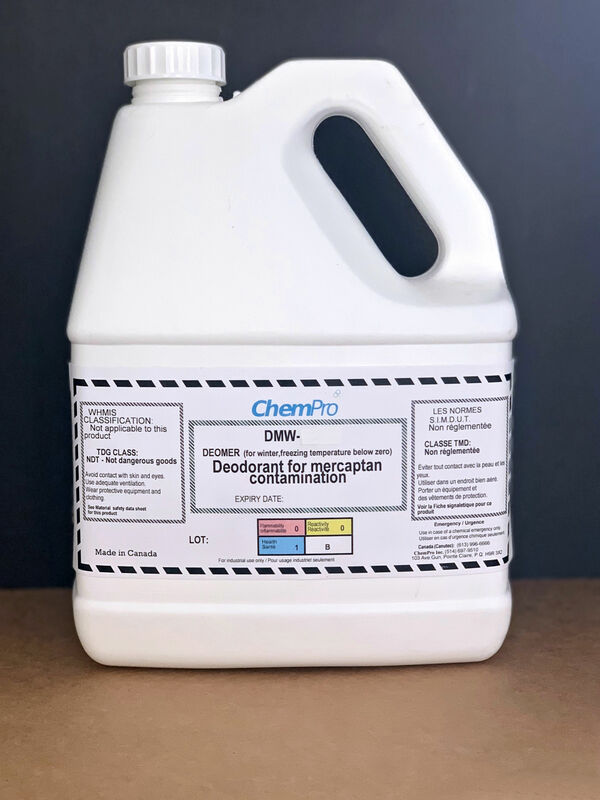 Deomer is a deodorant for mercaptan contamination. The liquid treats odorizer parts, clothing, tools, concrete, metal, and soil. The plant-derived active ingredient of Deomer removes the unpleasant smell by reacting with mercaptans and neutralizes the odor. The product is safe, non-toxic, water-soluble, and has a pleasant scent. Winter Deomer has added propylene glycol to inhibit freezing of the liquid. Winter Deomer is also available on request with added propylene glycol to inhibit freezing of the liquid.